Online dating has gone mainstream, and as a senior dater, you are among 6% of people in your age bracket using online dating sites. Online dating is safe, but occasionally a possible dating scam can occur without you even knowing it. Here are 7 clues that you might be dealing with a scammer. Does he say he’s a former NFL football star and now owns property all over the world? Is she a knockout who looks 20 instead of her ‘real’ age of 55? If their introduction sounds too good to be true, it might be. On the other hand, everyone tries to sound their best when writing their profile. So how can you tell if you’re dealing with a scammer? To begin with, use your common sense. If the person’s facts seem exaggerated or extreme, that’s cause for concern. You can always check the text to see if it’s been copied from another place by doing a Google search. Another suspicion may rise if there’s hardly anything at all in their profile. For example, they only have one photo in their album, or their personal bio is described in a very general and impersonal manner. Also look at grammar. If they claim to be from the U.S. but their English is very poor, you might be dealing with a scam artist. A photo speaks a thousand words, which is true with online dating scams. A suspect photograph may be a ‘professional’ shot that makes the subject look gorgeous or handsome and much younger. Most people use casual photos so be wary of formal portrait shots. Scammers sometimes pick up photos from the Internet and copy them into their profiles. Google has a reverse image search function that allows you to see if their photos show up anywhere else on the Internet. No matter your computer skill level, it’s easy to use. Check here for instructions. Finally, be sure to check the rest of the profile for pictures and if there aren’t any, be leery. 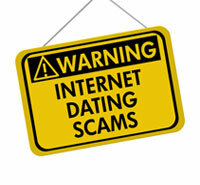 Many online scam artists want to get you off the dating site as soon as possible. Once you start communicating using your personal email they can use it to find out other information about you. Whatever you do, stay on the dating site and keep your guard up. It’s normal to want to meet after talking with someone for a while. But if your repeated requests for a face-to-face meeting are met with excuse after excuse, something’s up. Insist on using video chatting. Zoosk has a built in video-chat feature so you don’t have to leave the dating site to actually see the other person. That way you can see if there is indeed a real person behind the curtain who is interested in dating. Scammers prey on emotions. 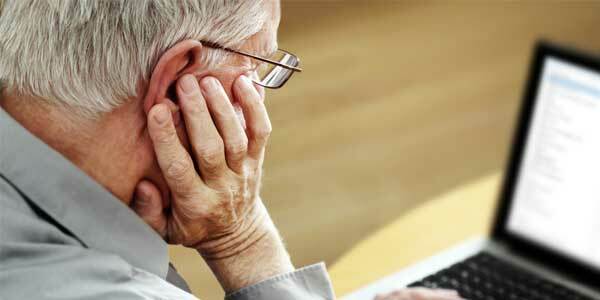 If you are a little lonely, having lost a life-long spouse or partner, they may be quick to act. It might start with seemingly sincere declarations of true love, taking into advantage the vulnerable state you are in. They can be relentless in trying to act on your emotions and influence you subconsciously. Step back. Be suspicious of anyone who comes on too fast. The typical online scam artist will do everything to avoid talking about themselves. Instead they will ask you many questions, and every time you refer a question to them, you may get a cryptic response before they switch the focus right back to you. Your job with a scammer like this is to just keep questioning them, eventually they will reveal some details that will expose their real, scamming identity. You are not the Bank of America and if someone asks you for money, cease all communication! This is the ultimate goal of most scammers and they are experts at devising all sorts of heart-wrenching and phony stories to elicit your sympathy – and money! It's true there are many variations of online dating scam stories, but it's truer that online dating is a safe and secure way to meet people no matter what your age is. In addition, dating sites are stepping up their methods of protecting you against scammers. Take Match.com’s DateSpark as an example, a site feature that matches you with people who have similar likes, dislikes and desires about a physical meeting. Remember, with vigilance and knowledge of scamming techniques, your online dating experiences are sure to be fun and satisfying.